We have two dogs. We love them. They are our babies, until we make some human ones. This is Ruby. 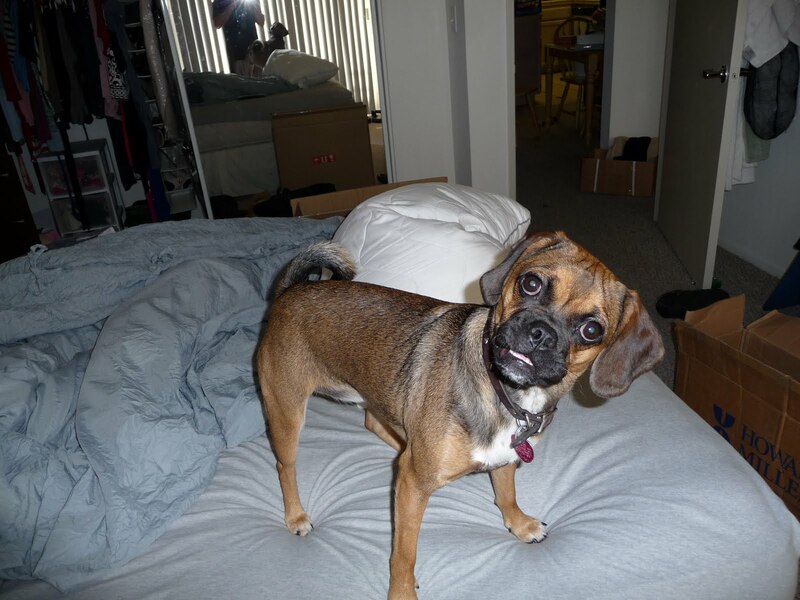 She is a two and a half year old Puggle (Pug/Beagle mix). She loves love and food. This is Teddy. He is a lab mixed with… we have no idea. 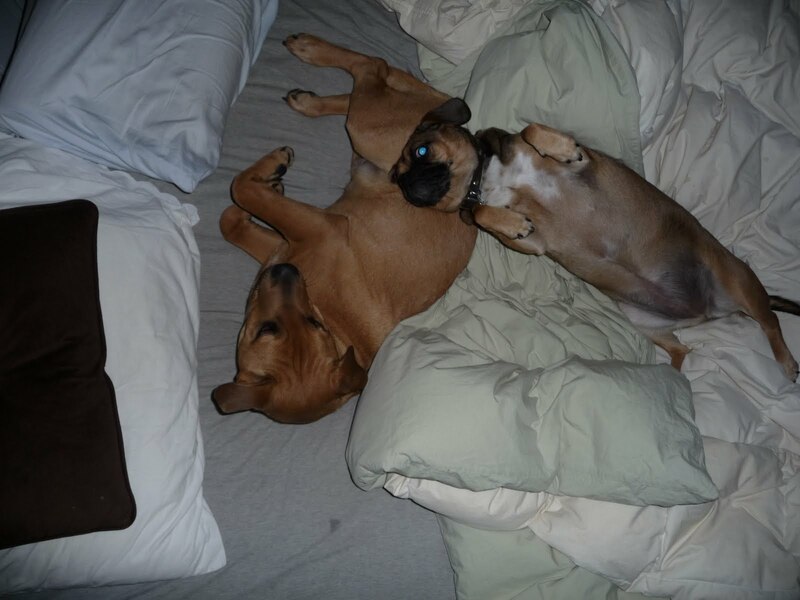 People say pit bull, people say shar pei, people say rhodesian ridgeback… who knows, who cares. He’s cool. We are starting dog training at Pierce extension on February 20th. We are scared our dogs will be the worst ones there. When we take them on walks, they take US on a walk. When people come over, they jump and slobber all over them. Don’t get me wrong, they are sweet as can be and wouldn’t hurt a fly, but they are a little out of control and it is all our fault. We are inconsistent. We give them people food. We let them sleep in our bed. But how could you resist faces like these? TOTALLY going to be us! Teddy is a mirror image of my dog, Brock. 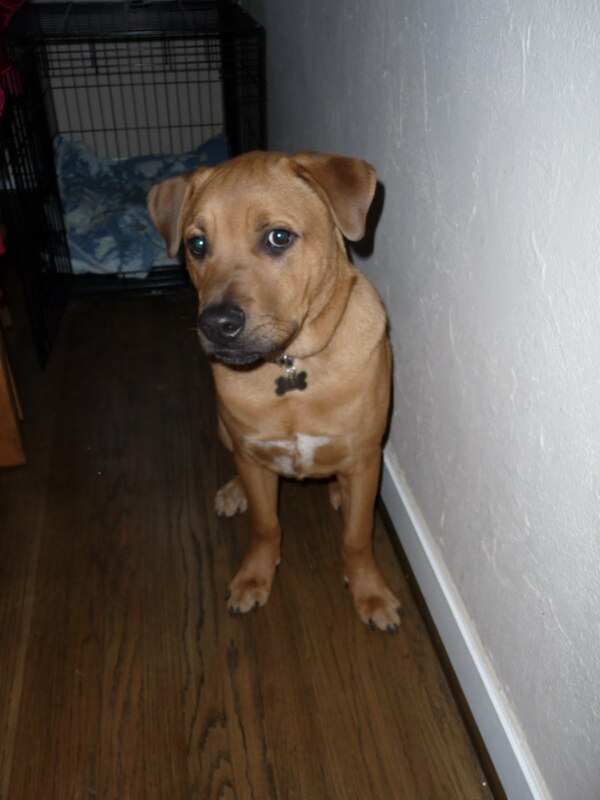 Brock’s mom was a puggle and his dad was a lab. That might be what Teddy is. A luggle.